Sporty, and one of the most Prestigious Luxury Watch brands. 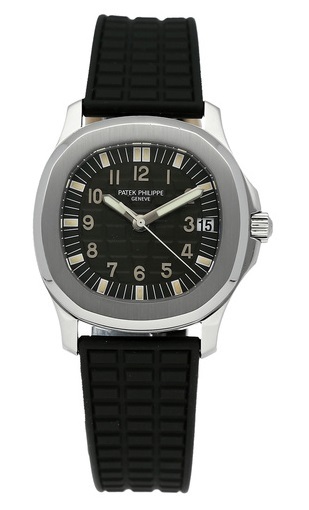 Pre-owned, in LIKE NEW CONDITION, WITH ORIGINAL PATEK PHILIPPE PASSPORT WALLET & WARRANTY PAPERS. Stainless Steel, 36mm case including the crown guard, automatic movement, and date indicator, screw down crown, with see through sapphire glass screw back. Available on sporty black rubber strap, and stainless steel folding buckle. PRICE $19,400. EXCELLENT BUY! To purchase this watch CALL US 956.687.2981. NOTE: The Aquanaut model in stainless steel is one of the best investments as their value continues to increase.